The UFC is in the process of booking a rematch between former UFC featherweight kingpin Jose Aldo and fan favorite Cub Swanson. The report comes from Brazilian MMA news outlet Combate, claiming Aldo and Swanson will rematch at January’s UFC 233 event in Anaheim. Aldo and Swanson first met under the WEC banner in June of 2009, with the Brazilian emerging victorious by way of a brutal 8-second double flying knee knockout. 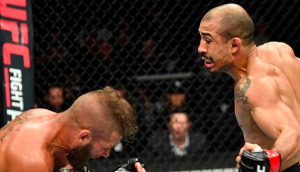 The former UFC featherweight champion, Jose Aldo, was last seen in action at July’s UFC on FOX event in Calgary. That night the Brazilian standout scored a first-round TKO victory over dangerous knockout artist Jeremy Stephens. Jose Aldo (27-4 MMA) has gone 3-3 over his last six fights overall. Meanwhile, Cub Swanson will return to fight in his home state of California looking to rebound from a three-fight losing skid. 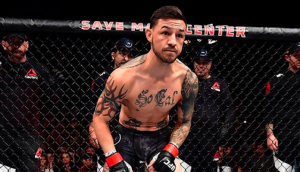 During that stretch “Killer Cub” has suffered submission losses to Brian Ortega and Renato Moicano as well as a unanimous decision setback to Frankie Edgar. Cub Swanson’s most recent win came at UFC Fight Night 108 in April of 2017, where he defeated Artem Lobov via unanimous decision. Cub Swanson will be looking to get back on track and exact some revenge when he rematches Jose Aldo. UFC 233 is already a stacked card! The event currently features a flyweight title fight between newly crowned 125-pound champion Henry Cejudo and reigning bantamweight kingpin TJ Dillashaw. A key welterweight bout between former division champion Robbie Lawler and undefeated UFC newcomer Ben Askren is also slated for the event. If that wasn’t enough to get you interested, Brazilian jiu-jitsu wizard Kron Gracie will also be making his octagon debut at UFC 233. He will be taking on the always game Alex Caceres. 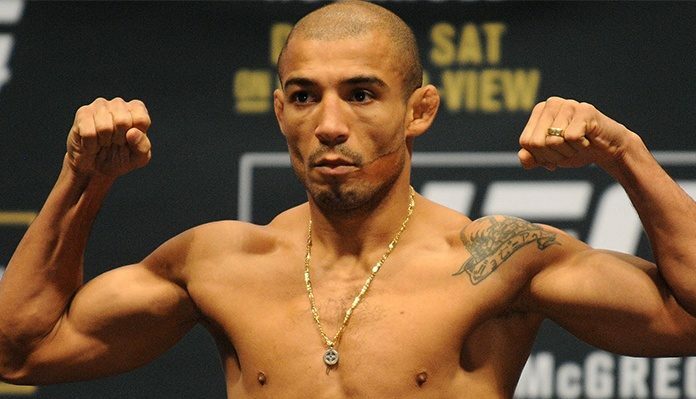 What do you think of the reported Jose Aldo vs. Cub Swanson rematch? Do you think the Californian can snap his win streak against the Brazilian legend? Sound off in the comments section PENN Nation!